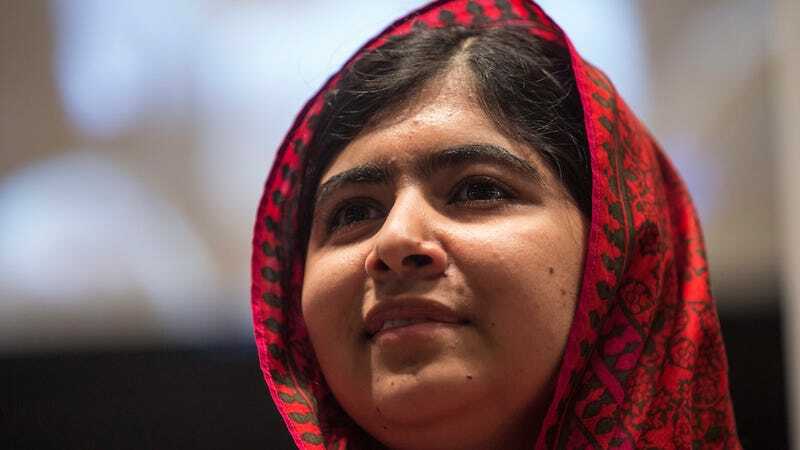 The gang of garbage humans responsible for attempting to murder teen activist Malala Yousafzai has been arrested, according to Pakistani army officials. One down, a depressingly high number to go. Reuters reports that ten men belonging to the group that claimed responsibility for shooting the then-15-year-old in 2012 have been identified and apprehended. Yousafzai began her activism by writing an anonymous blog about life under the Taliban when she was only 11. As her profile rose, she continued her outspoken advocacy in favor of education for girls and became a target for terrorist groups intent on taking Pakistan back to the dark ages. After the attack, she moved to the UK, where she's remained. In 2013, she was nominated for the Nobel Peace Prize.